We are a substantial Supplier and Exporter of Fresh Green Papaya in Cagayan de Oro City, Philippines. We thoroughly observe it on the basis of various quality parameters, to ensure that it is unadulterated and free from artificial colors. Our vendors grow it in a hygienic environment by using the sophisticated techniques in line with the set industrial standards and norms. 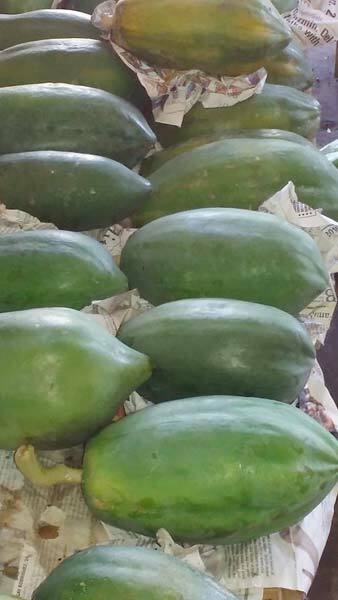 We offer our Fresh Green Papaya to various fruit dealers, at a highly economical rate.